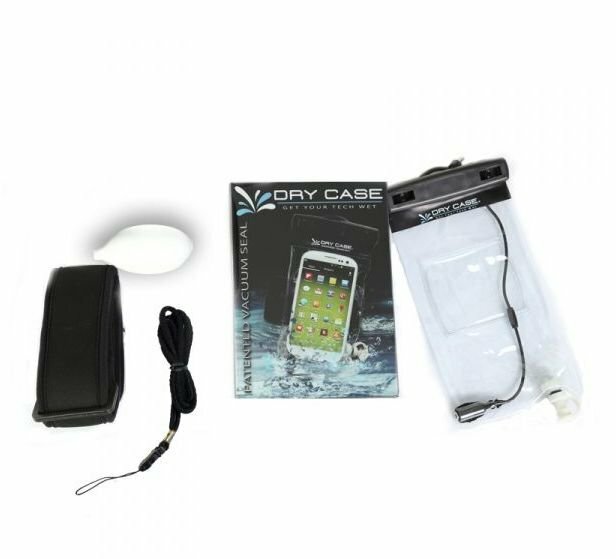 The DryCASE waterproof cell phone case keeps your electronics protected whether you are surfing, paddle boarding or canoeing. The DryCASE uses vacuum seal technology to ensure a watertight seal every time. Best of all, you'll still be able to use your touch screen to text or make calls, and the crystal clear covering makes taking pictures a cinch. When you purchase the DryCASE you will also receive a small hand pump, neoprene armband, and a lanyaed.